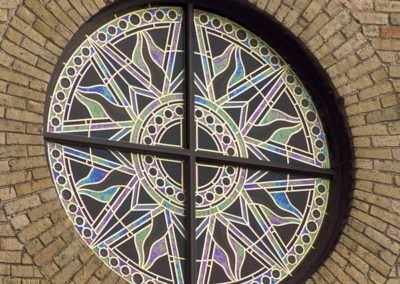 To design and fabricate a window that would act as an identifying feature for the restored tannery building in the industrial valley in Milwaukee, Wisconsin. 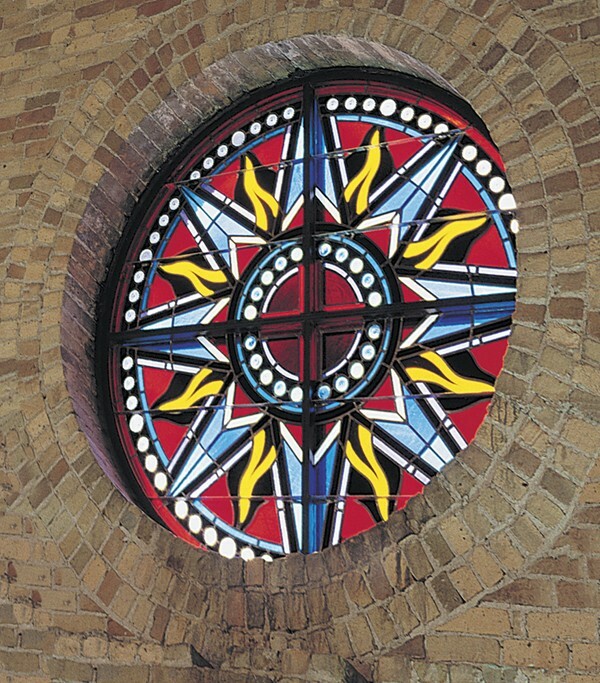 The 10-foot diameter rose window design proposed for the Atlas project is a dynamic, contemporary interpretation of this classic window type. Viewed from the interior, its vibrant colors are a bright spot on the neutral brick wall. 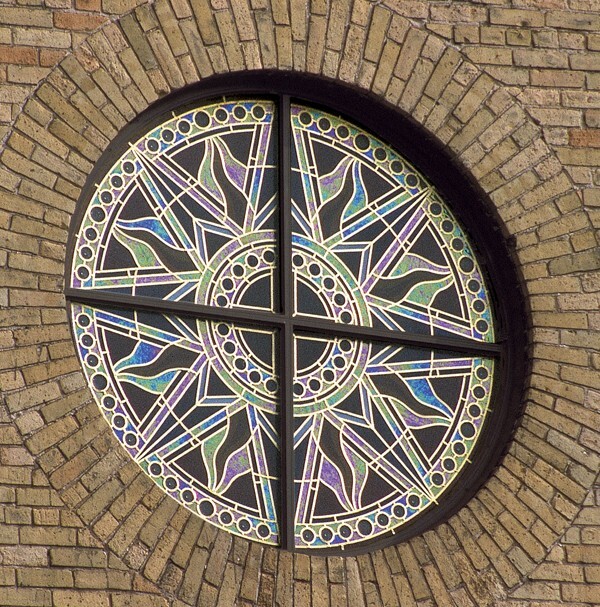 On the exterior, gilding on the lead lines makes the window’s design visible by day. The use of color-changing, iridescent glass adds additional interest.